The Phoenix probe sneaked up on me - I had only the vaguest notion that another Mars mission was closing in. Perhaps it sneaked up on Mars too, because the Red Planet, though a popular fave, does not seem to like us very much. Mars, so far as I can recall, has swallowed up a larger proportion of the missions sent there than any other major body in the Solar System. It has continued to do so even to modern times, including the feet-and-meters folly that lost the Mars Climate Orbiter a decade ago. The old war god even knows how to screw with our heads. Following a theme from last post, though, aren't Mars and Venus misnamed? Just as Saturn ought to be Juno with her royal diadem, let Sol II be Mars. War is hell, and so is it, with its broiler-hot surface temperature, ultradense CO2 atmosphere, and oh yes, endless sulfuric acid rain. The fourth planet can then be Venus - an endlessly fascinating tease and the most popular girl in class, but treating her terrestrial suitors with dismissive contempt. Quit probing me, jerks! I'll stop before I get in more trouble, but hats off to Phoenix! Now, apparently, we're actually up to 50-50 on Mars missions. Maybe she's lightening up on us a bit. Moving right along from the 16th century (not good smoke signal, kemosabe), let's put world building aside for the moment to discuss getting around the dozen or so worlds that are in easy reach, for various values of world and generous but not completely outrageous values of easy reach. In other words good old plausible interplanetary space travel, which oddly enough was the major background preoccupation of the true, original rocketpunk. Given that subject, here is the inevitable general reference to Winch Chung's Atomic Rockets site. First of all, where do we want to go? The tourist guide book has grown enormously in richness and detail since the 1950s, but not much in overall layout. The big loss is Venus. No jungles or tropical world-sea, and certainly neither variety of Heinlein Venusians, the little people in most of his early books or the dragons from Between Planets. Real Venus turns out to be so absurdly Dantesque that it's become like the giant planets; you don't even think of landing there. Mercury is kind of cool - well, maybe that is not the word I was looking for; let's say interesting, but with a very rugged climate. The Moon, except that it is more eroded-looking than the old Chesley Bonestall Moon, is pretty much what it always has been: the most common sort of real estate in the universe, pretty worthless except that it is close to a couple of critical freeway junctions. Mars? We almost lost Mars in 1964, and any native Martian civilization has gone the way of Dejah Thoris, but when all is said and done, real Mars is still the essential rocketpunk Mars. It looks like rocketpunk Mars, which is to to say it looks like the American Southwest, only more so. As far as we can tell, liquid water still occasionally flows there. How can Mars still be anything but the leading attraction, the interplanetary trip you make if you can only make one? The asteroids. Ceres Juno gets some spiff as a dwarf planet, Pluto's boo-hooey loss her gain. The old asteroid mining mother lode may be played out, except for eventual industries serving deep space customers. My argument here, one of my favorite heresies along with Pelagianism, is that any assumptions about Earth-to-orbit launch cost that make it cheap enough for large numbers of people to go up there also make it cheap enough to send up food, structural fabrications, and so on, at least to destinations in near-Earth space, rather than building a vast industrial infrastructure in the asteroid belt and shipping stuff back. That said, the asteroid belt is surely full of surprises, and relatively easy to get at - the smaller ones, which are most of them, you can orbit at walking to freeway speed, or even just pull up alongside. Jupiter's moons, big and small, are way beyond anything we used to imagine, but the big ones are all fairly deep in Jupiter's very nasty radiation belts, which could limit their mass tourism appeal. Saturn's moons also have much new coolness, and probably less radiation. The rings, what can you say? They're the crown jewel of the Solar System and have been since they were discovered, but no one dreamed of their full beauty and complexity till we got close-ups. Shouldn't this gorgeously bedecked planet really have been Juno, empress of the heavens? Alas, the rings of Saturn are probably murder to drive through, no matter how carefully you try. Past Saturn we've only scouted a bit, but when we lost Pluto we gained the Kuiper Belt - in fact, we lost Pluto as a "real" planet because we gained the Kuiper Belt. Thanks to Eris, the (partly) known Solar System now extends nearly 100 AU from the sun - the AU, or astronomical unit, equal to the Earth-Sun distance, being the standard tourist measurement used to avoiding having to pack so many zeros with our bags. In very round numbers, Mercury and Venus are a third and two-thirds of an AU from the Sun, Earth (shock!) one AU, Mars about one and a half AU, the asteroids mostly 2-4 AU, and that is the inner Solar System. Jupiter is near 5 AU, Saturn 10 AU, Uranus 20 AU, Neptune 30 AU, and then the Kuiper Belt. All of these tourist paradises go around the Sun (or around something that goes around the Sun), and pretty fast toward the center. Mercury books along at around 50 km/s and orbits in a third of a year, Earth at 30 km/s making it in a year, you'll be glad to know, while objects in the outer reaches of the Kuiper Belt, 100 AU from the Sun, mosey along at around 3 km/s (about 6000 mph, a mere crawl), and take a thousand years to make it around the track. Astronomy 101, yes - consider it a tourist refresher. For travel purposes a pretty good way to visualize it all is as a vast whirlpool. Interplanetary ships - and their destinations - do not travel through empty "flat" space, they travel through the Sun's gravitational whirlpool and are swept along with it. Ships can't just go with the flow, however - if they did, they'd just go round and round and never get anywhere, because they' be in nearly the same orbit as the planet they left. To get anywhere you have to cut across the flow of the solar gravitational whirlpool, and to get anywhere quickly you have to cut across it pretty sharply, on a "steep" orbit. Cutting across the flow at all takes fuel, or technically propellant. (Some kind of rocket engine is also helpful.) Cutting across it sharply takes lots of fuel, or else an engine with great gas mileage, for which the rocket science jargon is specific impulse. All of this makes interplanetary navigation endless fun, at least if you're very good at math or have access to nifty software. But let's start with a general question - how long does it take to get around this Solar System of ours? By way of gross simplification, forget the whole solar gravitational whirlpool and just think of speed and distance the old fashioned flat way. A chemical fuel rocket engine of the kind we've been using for 50 years, with ample fuel tankage, will send you off into the empyrean at about 5 km/s. To slow down again you'll need a lot more fuel tankage, but doable. Since one AU is just about 150 million km, at 5 km/s you will go one AU in 30 million seconds - just about a year. So, the first-approximation speed of space travel with chemfuel rockets is about 1 AU/year - which, in fact, is a decent broad range for present-day interplanetary mission speeds. Mars probes get there in a year or so, Jupiter probes take a few years, Saturn probes several years, probes to the outer system take decades. This is too slow for convenient human travel, even in the inner system. How much can we improve it, without invoking too much magic? For speed we don't need more thrust, we need better gas mileage, i.e. higher specific impulse. Classic atomic rockets, of the NERVA type ground-tested in the 1960s, can roughly double chemfuel performance - still dreadfully sluggish. Various electric space drives, based on well-demonstrated principles (some tested on a lab scale or even in actual service) can improve on chemfuel performance by up to about tenfold. Ion drive is the most famous of these, but it is a very low-power drive, suited to small probes or satellite station-keeping rather than big interplanetary ships. For a big ship we'll need one of the others, but for once we can legitimately handwave the details and simply say that our ship has a nuclear-electric drive, of a fundamentally conservative type that we should be able to build in this century. Small probes can use solar-electric drive, out to about Mars, but any big ship will need lots of juice, meaning some form of nuclear power. Fusion drive is cool, but actually achieving a fusion space drive verges on technomagic, and it isn't necessary for this speed range. Fission is the stone ax of nuclear energy, but we know how to make a stone ax, whereas we haven't really figured out copper yet, let alone bronze. A nuclear-electric drive might boot us along at about 25 km/s, five times chemfuel speed, with fuel to slow down again. This comes to 5 AU/year - and now the inner Solar System starts to look manageable, with Mars and the asteroids a few months from Earth, and even Jupiter's moons only about one year away. Beyond that the highway stretches pretty long and lonesome still, two years to Saturn, one way; a decade to the heart of the Kuiper Belt. The boot our drive gives us will be so gentle we won't feel it, since the acceleration of this drive is only, let us say, one milligee. The ship will take a month to reach cruising speed and another month to slow down, but since it isn't standing still during that time, it comes out to only one month lost to sluggish pickup, on a trip of typically a few months. Why not save a couple or three weeks by specifying a more powerful drive engine? Because even that gentle 1-milligee drive has a fairly spectacular power output. If the exhaust velocity is 50 km/s, and the drive is capable of pushing a 4000-ton ship at 1 milligee, the required thrust power is a nice round 1 gigawatt, about as much as a large power-station reactor. In round numbers, let's say that our ship has a "dry" mass of 1500 tons, and carries a 500 ton payload plus 4000 tons of propellant. (For a ship like this, "fuel" and "propellant" are entirely separate. The nuclear fuel is inside the reactor and stays there. The propellant supplies no energy, but is scooted out the back to push the ship along.) At full load our ship doesn't even make one milligee, but as it scoots off propellant it loses mass, and it is down to 2000 tons and an agile 2 milligees as propellant runs out. The ship's drive engine, including reactor, electric generator, and waste-heat radiators, might come to about 1000 tons, two-thirds of the "dry" mass of the ship, the rest being connecting structure, fuel tankage, and payload bay or cargo pods. Getting around the real Solar System of planets swirling in the gravitational whirlpool is more complicated that the simple model of speed in "flat" space, and the actual travel time for a ship like this, say from Earth to Mars, is wretchedly hard to estimate short of doing full-on orbit simulation. 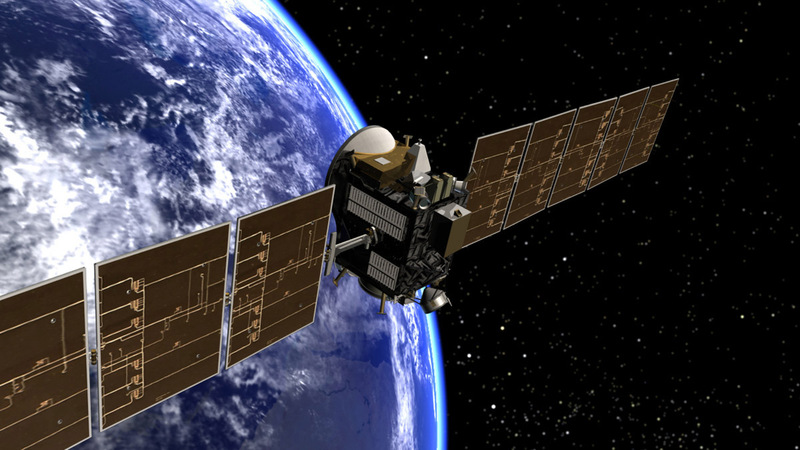 Slower chemfuel spacecraft tend to use Hohmann or near-Hohmann orbits, with well-known rules. Ships with uber-powerful torch drives can take orbits so steep that a straight-line approximation will do. These nuclear-electric ships can cut fairly steeply across the solar gravitational whirlpool, but they cannot ignore it. 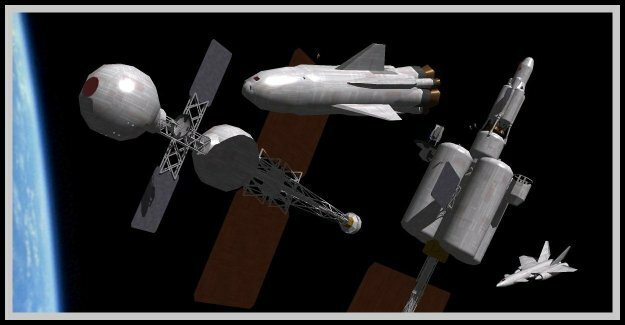 At a guess, a ship like this might be able to make two trips to Mars per Earth-Mars orbital cycle of about 18 months. One would likely be a fast passenger-express run near opposition (i.e., when Earth and Mars are closest, lined up on the same side of the Sun). The other would be a slow freight run, with less propellant and more payload - the positions of Earth and Mars in this part of their orbital cycle are such that "fast" steep orbits use up gas without saving much time. Interplanetary ships like these are very unsuited to local service, such as the Earth-Moon run - the distances are too short for them to get up to speed, so local missions remain the province of chemfuel or nuke-thermal ships. In fact these ships take a few days just to spiral through the Van Allen belts, meaning that passengers probably take ferries to get out to them. Now it's time to put on the green eyeshades. How much do these ships cost - and, what we really want to know - how much does a ticket aboard one cost? I'm going to say a billion dollars, or Euros/whatever, in round numbers, to buy a new interplanetary ship, and cheap at the price - only four times the cost of a 747. Once someone ponies up for it, taking out a loan or the economic equivalent, they have to make payments each year, and also pay the various operating costs of the ship - maintenance, fuel and propellant, and a host of miscellanies including salaries for crew, Mission Control, or both. Let's optimistically say that the ship has to earn its operators a couple of hundred million a year, and it makes a couple of one-way trips a year. Thus the cost of a one-way cargo mission to Mars, Mercury, or somewhere in the asteroid belt is about $100 million. A trip to Jupiter costs about twice as much. Happily that is not your ticket price, unless you are a 22nd century robber baron and the ship is your personal space yacht. If the ship can carry 100 passengers, the cost of a ticket is a nice round $1 million - what people a couple of years ago were getting for nondescript houses in Southern California 'burbs. A hundred passengers does not seem like much for ships several times the size of jumbo jets, but interplanetary travellers can't live for a few months in an airline coach seat. They'll need something like train roomettes, plus diner and lounge car, and also a hotel crew of stewards. Hence my round-number estimate of 100 passengers and million-dollar tickets. Of course there will be ships carrying research teams and work crews long before there is commercial service that you can buy a ticket for at any price. But once we have ships carrying hundreds of people around the Solar System on a routine basis, some sort of commercial service seems likely to arise. Next time we'll look more at these ships, their destinations, and the sort of human Solar System they might produce. Unless I decide to write about something else. In the same discussion at Carla's blog that inspired my last post, I made an offhand remark about how odd it is that gunpowder weapons play no part in the War of the Ring. What makes it odd is that gunpowder is clearly known and used in Middle-Earth, quite spectacularly during Bilbo's birthday party at the very beginning of The Fellowship of the Ring. Carla gallantly pointed out that gunpowder is indeed used in a military context (setting off a mine under Helm's Deep), and suggests the plausible limitations to its use - scarcity, and lack of the technology needed to use it effectively in guns. Gunpowder was known and used throughout the Hundred Years' War, but was not important till near the end. These are all good excuses, especially the one about technical limitations. Readers of L. Sprague de Camp's wonderful Lest Darkness Fall will remember that Martin Padway "invents" gunpowder around AD 538, only to find that he can't come up with a mix that will go bang instead of foof. The objection to this that they are all retcons, efforts to fix the problem after the fact. The fireworks show that Gandalf puts on is indeed a rarity - nothing seen like it in the Shire for near a century, since the Old Took died. But then, everything about Bilbo's birthday party is extraordinary. Hobbit children know all about fireworks, so they can't be all that uncommon. More to the point, Tolkien makes a big point of those fireworks, establishing gunpowder as part of Middle-Earth right at the start of the book, with never any hint then or later of constraints that would keep the stuff from being used in war with full post-1500 effectiveness. What is going on here? Middle-Earth is after all the triumph of world building, in fact where we learned the possibilities of world building. I don't think science fiction had anything comparable at the time - Foundation Trilogy has the vast sweep, but none of the fine texturing or back-structure. So why this odd slip, conspicuously near the beginning? Thus no doubt to Tolkien, and the vast majority of his readers, fireworks at Bilbo's party were no more a predictor of firefights in combat than knowing that hobbits prefer six meals a day would be a predictor that they prefer living underground. Not that the question of gunpowder in Middle-Earth has totally escaped attention; Googling "tolkien shire fireworks gunpowder" gets about 4200 hits. All the same I bet some of you lived happy and productive lives up to this point without ever considering the matter. The fireworks passage in LOTR has a much odder oddity - at one point a fireworks dragon whooshes overhead "like an express train." I guess the Michel Delving express just highballs right through Hobbiton, huh? No one would write a line like that in a fantasy novel today unless the world had trains, or main characters came from our world. * This line is a bit of literary archeology, as noted here. Not deliberate world archeology, such as I mentioned last time - Tolkien's languages are the pioneering achievement of that - but a sign of how our own world has changed. It is a reminder that when LOTR was published it was not "a fantasy novel," because no such thing existed. LOTR created, or at least defined, a new subgenre of Romance. In the literary culture as a whole, fantasy before LOTR was largely ghettoized within children's literature - Peter Pan, the Oz books, Wind in the Willows. It was creeping out via the pulps, and there was some quite adult fantasy out there, such as James Branch Cabell's books. I remember reading Jurgen in high school - I didn't understand much, but enough to know it was not kid stuff. That was the exception. The Hobbit is a children's book, and hobbits perhaps began in Tolkien's own imagination as more or less talking bunnies, before evolving into short, cheerful English rustics. In a similar way, Middle-Earth surely evolved as a world - I recall at various times reading detailed textual exegesis that identifies some of this, like successive Troys buried beneath Minas Tirith. Middle-Earth also has some features that are more likely part of Tolkien's deliberate conception, but continue to intrigue me. The Shire has always struck me as the solid anchor of Middle-Earth. It is the one place where we can most definitely see how it works. (I have seen a very funny Marxist interpretation - the Scouring as the revenge of the landowning classes.) You could probably work out an economic model of the Shire that would fit the picture given. Elsewhere it gets hazier. The Rohirrim have horses and lots of pastureland, I suppose. But where on earth, or in Middle-Earth, are the agrarian provinces that keep Minas Tirith fed and Gondor's armies supplied with recruits? I suppose they are somewhere on the map, but you sure never get any sense of them in the books. Minas Tirith has a lot more in common with the Emerald City than it does with Hobbiton. Most of Middle-Earth, in fact, is pretty sketchy. This has led Tolkien's legion of bad imitators to the situation described by Diana Wynne Jones, where crowded inns turn up in the middle of nowhere, like finding a busy truck stop along a cracked pavement stretch of Former US 66. Tolkien gets away with it because after 500 pages of watching everyone in Bywater stuff themselves into a coma to watch Bilbo vanish in a flash, we are convinced of the solidity of Middle-Earth. Also, as I mentioned in my comments at Carla's, the Shire seems more modern than the rest of Middle-Earth. It is set in a timeless premodern past but a sophisticated one, with postal service and the host of specialized trades called on for Bilbo's party. To me it feels a bit like the 18th century; I can imagine young female gentlehobbits reading Jane Austen novels and feeling completely at home. Beyond the Shire, however, at any rate past Bree, things feel about a thousand years earlier - very loosely synologous to Europe in the Early Middle Ages, what used to be rudely called the Dark Ages. All of this works because if we are the kind of people who read this kind of stuff, the essentials of this geography were already in our mental furniture - even before there were a million fantasy novels on the shelves. Fantasy worlds ever since have for the most part been loosely synologous to some part of the real past, usually Western Europe, for the very good reason that that is where Once Upon A Time still generally happens in our culture. If you were expecting a brilliant conclusion to wrap this up, you read this in vain, because I have no particular conclusion in mind. So consider these just more notes on world building. * Aren't steam trains now an archaic enough technology that they could fit into a timeless Once Upon? Not steampunk, but a rather Shire-esque world where populous and prosperous regions have always had trains as they have always had butchers, bakers, and candlestick makers. Now, however, it is impossible to have anyone show up with a turban and scimitar without evoking very contemporary issues. Let two galleys meet prow to prow somewhere in the Pylian Gulf, and people will read it as an editorial. Useless to complain; it's a fact of life.